« Club Management – Want to know more? 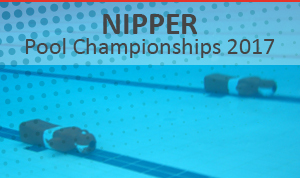 This year the Nipper Pool Championships are being held Cardiff International Pool over two days. The championships are open to members of SLSGB and SLSA Wales. All competitors named on the entry form must be paid up members of SLSGB or SLSA Wales and a member of an affiliated club by the closing date of entries. Competitors whose membership is received by SLSGB after that date will not be eligible to compete in this Championship. Please download the information pack below for full details. Individual Age Groups The age group in which any person competes is determined by the year of their birth, rather than the date of the competition. The basic rule is to add one year to the age a competitor is on 31st December in the year prior to the competition and this determines the age group in which the competitor competes for the following year. Team Events: Rescue Tube and Board rescue pairs must be drawn from the same age groups. Nippers cannot swim up or down the age groups. Relay are classed as an Open event on each day and teams can be made up from any age. Closing Date and submission of entries The closing date for entries is 6pm Monday 13th March 2017. All entries must be submitted electronically: Any late entries made after this time will be subject to a 50% surcharge on fees. No entries will be accepted any later the 48 hours prior to the start of the event.